Horrocks said ministers should review Britain’s spending overseas and consider freeing up extra World Service funding to combat the wave of Moscow-backed propaganda sweeping Europe. International alarm over the rise of Kremlin-funded news, led by 24-hour news channel Russia Today, has intensified following Vladimir Putin’s military intervention in Ukraine and his feud with the west. David Cameron told MPs he had raised with President Obama his concern about Russian news channels “pumping out a distorted picture” of events in Ukraine after the issue was raised by leaders in the Baltic states at the G20 summit in Australia. Horrocks, who stepped down earlier this month as the executive in charge of the BBC’s global news operations, said the corporation had asked the Foreign Office (FCO) “whether there’s anything they want to do with development funding for extra programming for Ukraine” but he had not yet had a reply. FCO funding for the World Service stopped in April, with the £245m annual budget now coming out of the licence fee. Despite this shift, Horrocks said “considering supplementary funding [from the FCO] is something that could be on the policy agenda and could be part of the discussion about the BBC’s future”. Demand for BBC World Service output has soared since the Ukraine-Russia crisis began. The corporation’s Russian-language service has more than doubled to 6.9 million listeners, while in Ukraine its audience has trebled to more than 600,000 since last year. Globally the BBC’s news operation appears to be healthy – reaching a record 265 million people a week, including the World Service’s 191.4 million audience – in spite of a raft of service closures and cuts since 2010. 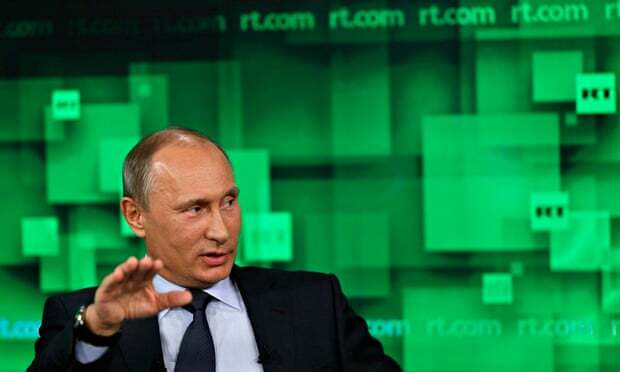 As the World Service has pared back, Russia Today has expanded spectacularly. The network, which broadcasts a pro-Kremlin interpretation of world events in English, Spanish, Arabic and Russian, launched a UK-focused channel based in Millbank, central London, recently and plans to launch German and French channels next year. Putin will next year increase its global budget by 40% to 15.38bn roubles (£183m), up from 11.87bn roubles this year. The channel boasts of a worldwide reach of 700 million – while never disclosing the actual size of its audience – after expanding its Spanish service across South America. At the same time, state funding has been ramped up for Rossiya Segodnya, a global news agency built on the remains of the liquidated RIA Novosti. Earlier this month Rossiya Segodnya launched Sputnik, an English-language online and radio service to replace Voice of Russia. Its TV news anchor is Dmitry Kiselev, described as Russia’s chief propagandist with a record of attacking homosexuals, who said the project was aimed at a global audience “tired of aggressive propaganda promoting a unipolar world and who want a different perspective”. Whittingdale said he would seek assurances from BBC News director James Harding about protecting the World Service as a counterweight to Russia Today. “The clear commitment that has been given by Russia and China [to expand state-run news channels in Europe] strengthens the case why we should be backing the World Service,” he said. 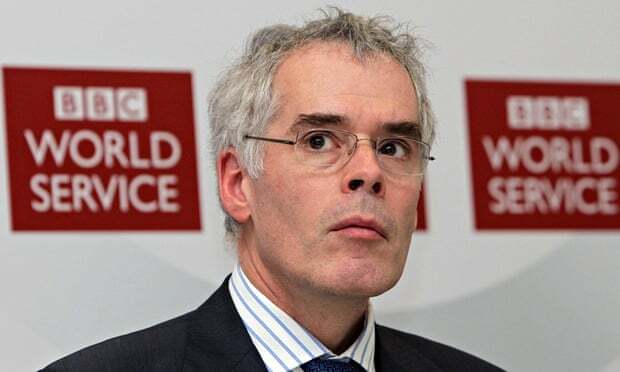 Senior BBC executives say privately that the World Service gives the corporation a strong card to play in the upcoming royal charter renewal talks. They sense growing unease among Tory MPs about the future of the licence fee, but know that many of them are passionate supporters of the World Service as a measure of Britain’s influence overseas. Last month Russia Today’s UK channel was threatened with statutory sanctions by Ofcom after breaching the broadcasting code on due impartiality over its coverage of the Ukraine crisis. 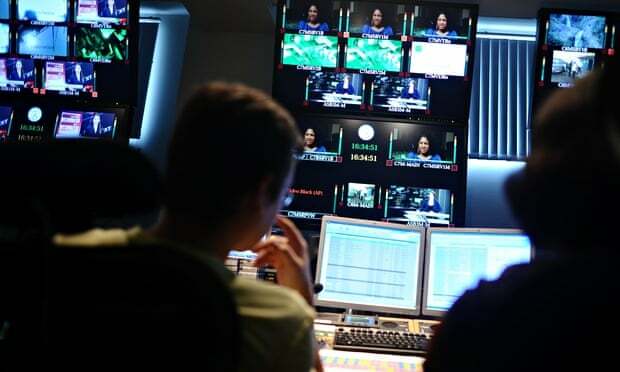 The channel was censured over four reports, including one featuring a pundit, Mark Sleboda, who described the Kiev regime as a “putsch government” that came to power with the help of violent mobs which included “a number of extremists”. American anchor Liz Wahl, whose on-air resignation as Russia Today’s Washington correspondent in March has been viewed millions of times on YouTube, said executives conceded that it would never have a following to match CNN or Fox News, but that “it doesn’t necessarily matter how many people are watching – the focus, instead, is on getting the message out”. “When you first start working there, the managers say the goal of the station is to cover stories the mainstream media ignores and to provide alternative news with a different perspective than traditional media outlets. That sounds like a noble mission right? Well, what they don’t tell you up front is that that’s not the primary goal,” said Wahl. Russia Today declined the Guardian’s request for an interview and said it was “not possible” to answer questions about its ambitions. • This footnote was appended on 23 December 2014. A spokesperson from Russia Today said, subsequent to publication, that the figure of £4,300 after tax for middle ranking staff is more than “double what it is in reality”. She also said that the claim that all London staff receive 13th month pay is incorrect and that the ex-employee quoted was a reporter, not a management executive, and therefore not in a position to make “broad statements about compensation”. In addition the fluctuating value of the rouble meant that when the story was written £15.38bn was equivalent to £220m but is now worth around £183m. This has been corrected.